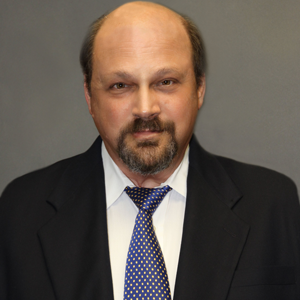 Michael Odsess has worked in South Florida commercial real estate since 1981, when he began working for a large condominium warehouse developer in Miami-Dade County. Mr. Odsess is also a former member of the investment properties team of Grubb & Ellis, where he engaged in the disposition of properties for such clients as Glendale Federal Savings, The FDIC and Pima Savings, and the leasing of properties to clients such as RJ Reynolds. Since 1993, Mr. Odsess has been President of The Norton Realty Group, a Boca Raton-based firm that specializes in real estate investment sales. He is also president of Beckwith Madison Maintenance Corporation, a family-held management company that oversees the operations of almost 500,000 square feet of industrial and retail properties in the northeast. Mr. Odsess is also a member and manager of several companies that own and operate properties throughout the New Jersey and Florida markets. At The Law Office of Luis Cartaya, PA he oversees and manages all of the procedures related to the NFL Concussion Class Action and other Mass Torts. Mr. Odsess is a graduate of Emerson College in Boston, Massachusetts. He is a past Vice President of the Rotary Club of Boca Raton, Sunset and a was Rotarian of the Year 2001. Mr. Odsess has served on many service boards and was the Vice President of the Encantada Homeowners Association for more than ten years.